Yet another excavation have begun in Tilaurakot palace ruin to identify the main section of King Suddhodan – the Lord Buddha’s father. The 1,600 ft. by 1,000 ft. fortified area with 10 -12 ft. wide wall have been going through series of excavation to discover more about Buddha’s life and civilization then. This is where Buddha spent 29 years as Price Siddhartha. The fort (Kot) of Tilaura ( Tilaurakot ) fulfills all conditions as mentioned in earlier Buddhist literatures and the accounts of pilgrims. The excavation will go on for 55 days in Tilaurakot and other places associated with Buddha. Officer at Department of Archaeology Ram Bahadur Kunwar said that the excavation will be carried out in the central complex of Tilaurakot palace and beside Samayamai Temple. Earlier, excavation was carried out in the mid-part of Tilaurakot Palace, southern part of the pond, and in Nigradharam Kudan. The excavation of central wall complex last year uncovered stone tablet of Mayadevi ( Buddha’s mother ) dreaming of white elephant entering her womb. The foundation if believed to be of the room belonged to Queen Mayadevi. 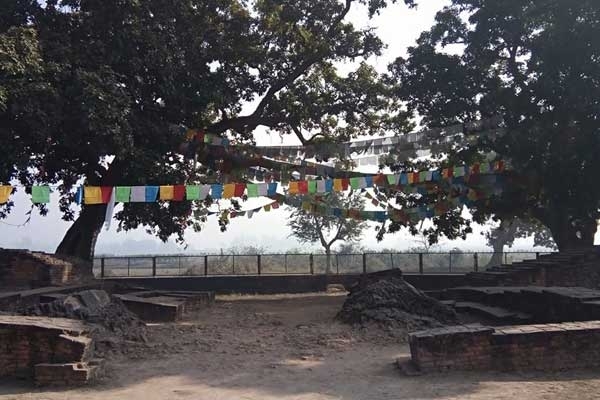 The Department and Lumbini Development Trust have been carrying out excavation and research in Lumbini and adjoining areas since 2014. Tilaurakot has been proposed to be included in the list of world heritage sites. The efforts are ongoing to collect necessary evidences and documents to that end. In the current excavation work, experts from UK’s Durham University, Department of Archaeology, Lumbini Development Trust, and students of Tribhuvan University and Lumbini University are being involved. Fortification wall covering the area of 500 m by 405 m have been discovered in Tilaurakot palace. The fort have been surrounded by moat and the fortification wall is 10 t o12 feet wide making it as tall as 18 ft.
Four gates have been discovered along the fortification wall in each cardinal direction. Gates had guard rooms and armory next to them. The eastern gate is the most important and spiritual as it was from where Buddha went on renunciation. The gate is called 'Mahaviniskramana Dwara' or 'Mangal Dwara'. Stupa was erected for Buddha's horse Kanthaka, some 100 m east of the gate. It is believed that the horse died after it served its distined purpose of taking Bodhisattva from the world of luxury to the path of enlightenment. Among many pond mentioned in King Suddhodana's palace, one still exists in the northeastern corner of the fort. The pond was built for leasure of the Sakya royalties. The temple of Samai Mayi is still worshiped in the premises of fort. The temple houses fragments of ancient sculptures. The existance of temple in the complex of Sakya palace have been mentioned in travel accounts of early Chinese pilgrims. Metal workshop was found near the southern defence wall. According to T.N. Mishra, the place have been used to make weapons, agricultural tools, utensils and coins. The discovery of the coin minting plant supports that it was the capital city of Sakyas. Mishra unearthed ancient roads dating from 7th - 6th century B.C. to 2nd century A.D. in the vicinity of the fortified area of Tilaurakot. The roads were very wide and paved with bricks and brickbats. Some roads have stone edging on both sides. Very interestingly, some roads have eight inches soling made from iron slag (ibid: 260). Such an improved road transport in the vicinity indicates that the place was very important. 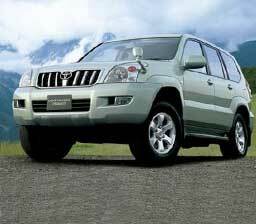 Himalaya have been a place for spiritual retreat for thousands of years. 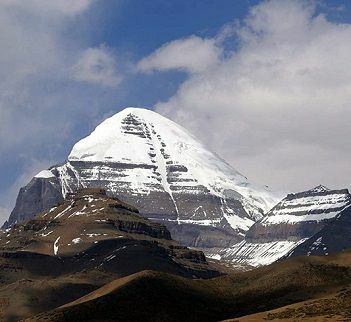 The hidden Himalayan valleys also sheltered and nourished Buddhism for centuries during the crisis in India and Tibet. 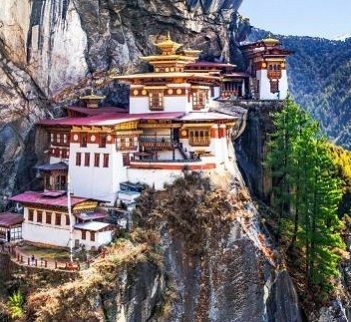 Buddhist pilgrimage tour or Nepal unveils how Buddhism was preserved and Buddhist philosophy were developed since the time of Buddha.